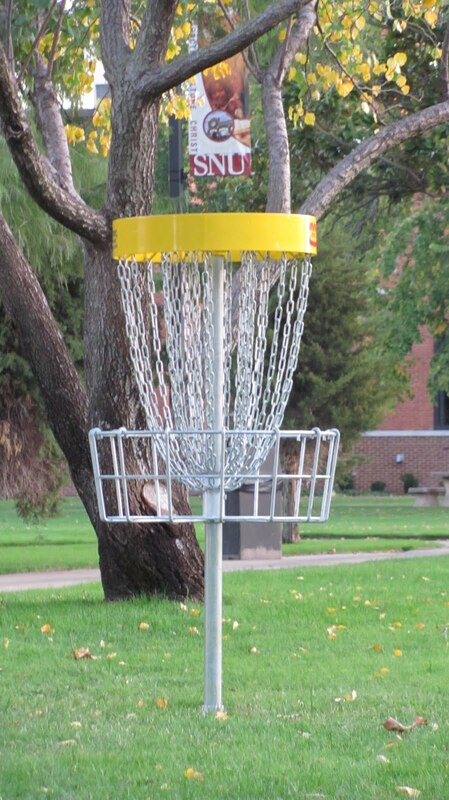 Many of you have probably noticed the new disc golf course on campus. We interviewed the man behind it all, Anthony Puryear, the resident director of Snowbarger Hall and an avid disc golfer himself. The Echo: We know you like to play disc golf, but why disc golf? What do you love about it? Anthony Puryear: It’s free and discs are inexpensive. It is a fun thing to do outside and is easy to learn. TE: How did you go about coordinating the course? AP: Dusty Dimitri and Travis Vernier approached me with the idea. They suggested we try to get one put in. So, I put together a proposal and got it approved. TE: What are the rules for the course? AP: You can’t play between 8 am and 2 pm, basically, whenever there is class. Also, if you break anything you are responsible for it. TE: What do you hope the course will add to SNU life? AP: I think it will be a great way for people to get to know each other outside the dorm, and be a good way to relieve stress. People might also like to know every hole is a par 3. We will hopefully be putting a tournament together in the next couple months. Puryear also has discs for sale. You can contact him via email if interested.